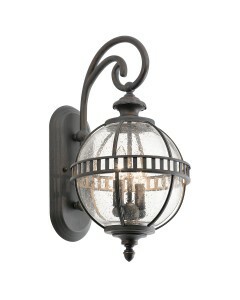 This is the Halleron 3 Light Outdoor Medium Wall Lantern in Londonderry Finish. 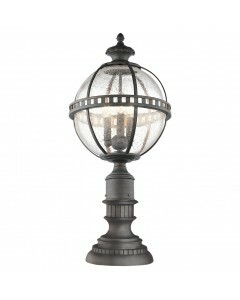 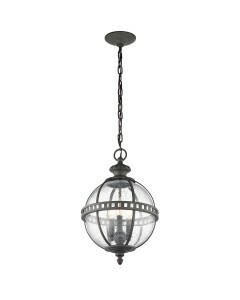 This lantern is inspired by the Victorian era and features an oval back plate with a curved arm holding a sphere shaped shade with seeded glass panels and three candle style lamps (bulbs not included). 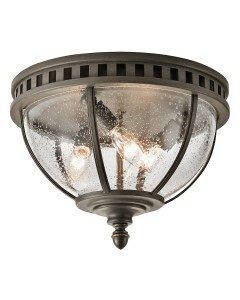 This is all in a Londonderry bronze finish with a grey wash. 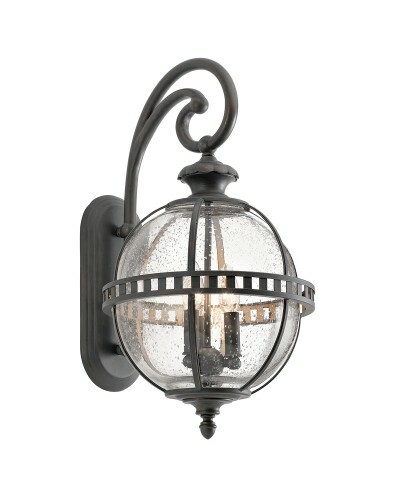 This outdoor wall lantern is IP44 rated.